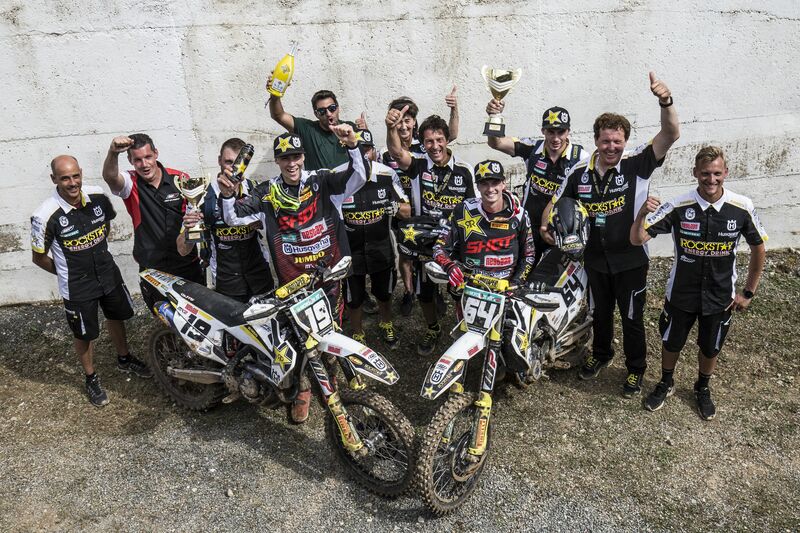 Taking place at the hillside circuit of Saint Jean d’Angely in the south of France, round 10 of the 2018 FIM Motocross World Championship saw the Rockstar Energy Husqvarna Factory Racing duo of Thomas Covington and Thomas Kjer-Olsen place second and third respectively in the MX2 category. Winning both the Qualifying Race and the opening MX2 class moto at the Saint Jean d’Angely track, Thomas Covington tied on points with eventual GP winner Jorge Prado. Showing great speed despite challenging conditions, the American bounced back from a small mistake after the start of the second race to wrap up the weekend with a third place second moto result. Putting in two solid moto performances Rockstar Energy Husqvarna Factory Racing’s Thomas Kjer-Olsen secured third overall at the GP of France. Runner-up in the opening moto and fourth in the second moto, the young Dane remains third in the provisional 2018 MX2 World Championship standings. In the MXGP category, Rockstar Energy Husqvarna Factory Racing’s Gautier Paulin wrapped up his home GP with seventh overall. Following a strong runner-up result in the qualifying moto, the FC 450 powered rider went on to collect a set of 8/5 results. Battling his way back from two bad starts, Rockstar Energy Husqvarna Factory Racing’s Max Anstie claimed 17/16 results for 18th overall at the French GP. The Rockstar Energy Husqvarna Factory Racing team will return to action at the 11th round of the 2018 FIM Motocross World Championship in Ottobiano, Italy on June 16/17.